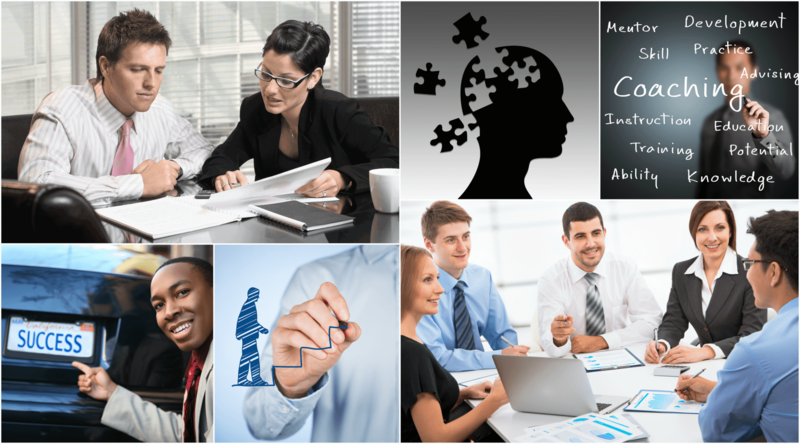 Executive Coaching and Life Coaching are two of our specialty services offered at D’Arienzo Psychological Group. Executive Coaching is typically occupationally focused coaching and involves improving one’s performance at work by learning to better resolve conflict, get tasks efficiently accomplished, get along better with others, communicate more effectively, increase job mastery, and find greater job satisfaction. Life Coaching is typically life focused and is utilized for people shy about therapy and who may feel they just need a nudge rather than being analyzed by a psychologist, or counseled by a counselor or therapist. Please note that it is always important that if you are getting coached and you are addressing personal issues with “a coach,” that coach needs to be a licensed mental health professional. If they do not posses extensive knowledge in psychological processes and a license to practice, then you are merely receiving executive mentoring or a listening ear from a friend. Please be leery of those coaches that practice without truly being psychological professionals as proper training is vital. A certification in coaching is subordinate to a license to practice. Executive Coaching at DPG? Executive Coaching usually begins with a call from the human resources department regarding a valued employee that is not functioning optimally due to not getting work accomplished in a timely manner, being disruptive, having personal issues, not getting along well with others, or having another challenge. It is also typical that an individual will self-refer themselves for executive coaching because they want greater insight regarding barriers that are preventing them from getting ahead or they want to improve their work life balance, ability to manage anxiety, or improve their sense of satisfaction despite being very accomplished. Once a decision is made to participate in executive coaching, the coachee (one being coached) meets with one of our coaches for an assessment. At that time, it is also determined how involved the workplace will be. Tools such as 360 assessments may be sent to the office for colleagues to complete over the coaching process, so progress throughout the process is tracked. Some coachees also decide to participate in industrial psychological assessments in order to gain additional objective information about their strengths and challenges within the workplace or in their personal lives. Resulting from this initial meeting and/or testing will be a clear determination of what factors need to be addressed and how these factors will be addressed. The length of each coaching session is an hour. Sometimes these meetings involve providing or gaining additional information from one’s work. The duration of the process is typically three to six months where the coachee initially comes weekly for four weeks and then spreads out their appointments as needed for continued change, maintenance, and tuneups. During the process, changes are also tracked utilizing an online form that is completed by the coachee. Our coaching model is based on evidenced based psychological principles that change behavior and improve performance. Many of these tools are used in sports psychology as well as in the military and especially within the special warfare communities. These principles or tactics are based on cognitive-behavioral concepts. As former military psychologists, we provide coaching with a clinical edge! Goal-setting and Segmenting: We use the SMART Model or Motivational Interviewing Model and help you break up goals to achieve each one amassing to more dramatic change. Tactical Visualization: We help you rehearse and then practice your desired change to become a new habit. Arousal Control: You will learn to control your central nervous system through biofeedback and other techniques so you can better control the stress response, your impulses and utilize your rational mind to control outcomes. Self-talk: Messages you tell yourself greatly impact your behavior. We will teach you how to effectively replace negative self-talk with positive self talk that will boost your confidence and guide you through successful action. Focused Training: You will learn techniques to tune out distractions to get the job done. Compartmentalization: Coachees will acquire skills to manage adverse events and section off affiliated thoughts and emotions to allow for improved concentration on the task at hand. Let us know if we can answer additional questions about our executive coaching services. Life Coaching at DPG: As stated above, individuals seek a life coach when they may be too shy to see a licensed mental health professional or they believe they do not have a psychological or mental health condition but they want to change a habit or need life advice. All of your licensed mental health practitioners have at least a decade of coaching experience and are well suited to provide life coaching. None of them holds a coaching certificate because they are all licensed mental health practitioners with superior credentials in comparison to coaching certification. The course of life coaching is typically three to six months and sessions do last an hour. Initially, sessions are weekly and then two times per month or less depending upon your need. Techniques used are empirically based cognitive behavioral strategies to improve mood, alleviate worry, and nudge behavior. The specific methods used are Rational Emotive Behavioral Therapy (REBT) and Motivational Interviewing (MIT). With REBT, a client is taught to change their thought processes from irrational to rational. While with MIT, clients resolve ambivalence to change when analyzing and comparing the difference between how they are and how they want to be. This method galvanizes decisions creating momentum toward change. Creating and then living an action plan becomes the heart of the process. If you have questions about our life coaching services, please contact our office.